First Salsa Thursday of August and this time we will have the presence of Dani Martinez, who will make us dance pegaditossss. 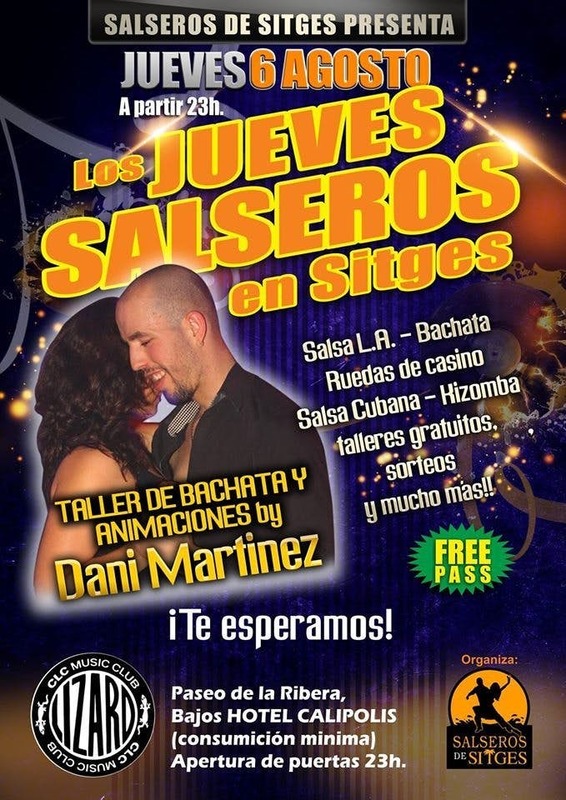 Free Bachata workshop at 23: 15h and animations night presented with the same force as in previous editions of "Salseros Thursdays" in Sitges. Of course you will not miss the best musical selection of Salsa, Bachata and Kizomba and the good vibes that accompanies us every Thursday. Faltéis not, we will have a great time !! Caminaaaa !! !